As home and business owners up and down the Eastern Seaboard and throughout the Gulf Coast well know, the hurricane season running from June 1st through November 30th can be a stressful time. Of course, the effects of hurricanes are not isolated to these areas, as gale-force winds and torrential downpours can have a devastatingly widespread effect on inland structures as well. Even Californians are not immune to the backlash of hurricanes, as the remnants of tropical cyclones in the eastern Pacific often bring rain and thunderstorms to parts of Southern California. The question posed by most business owners is how to protect their investment. More specifically, what kind of damage can a hurricane cause on a flat commercial roof, and what is the best way for business owners to prepare? While you might think a flat roof would be the best style to fight wind damage, a moderately pitched hip roof is actually better able to withstand strong winds. 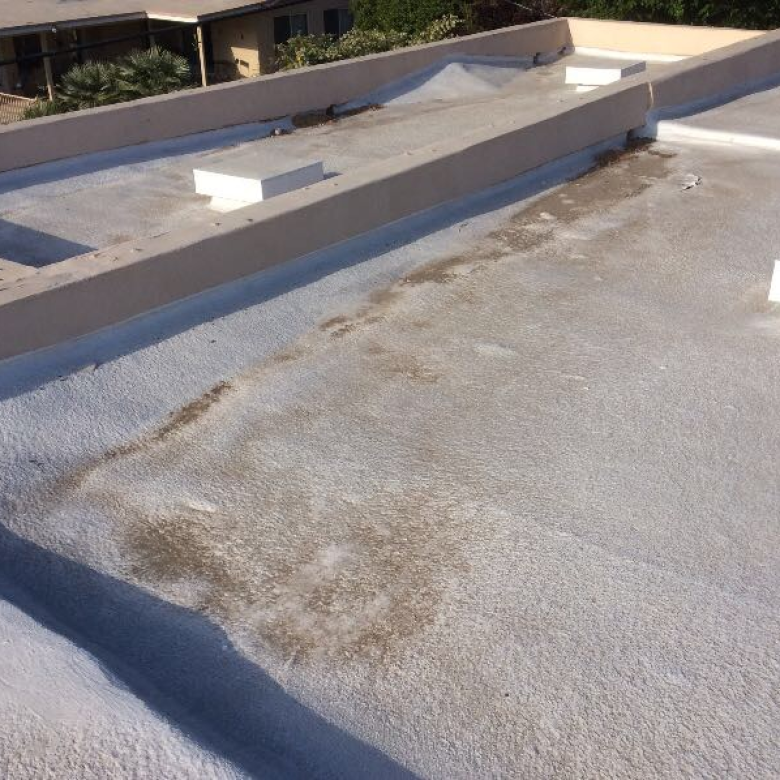 As it turns out, a flat roof can increase uplift forces on the overhang, and are thereby more prone to leaks. Your roof covering is critical in preventing hurricane winds and keeping rain out of your home, and yet, has historically been one of the weakest elements in your line of defense. A study by the National Association of Home Builders Research Center showed that during Hurricane Andrew, 77% of the homes surveyed experienced serious damage to their roofs. Studies highlight the fact that damage to the roof covering during a hurricane can lead to serious roof damage during subsequent rain storms. Obviously, water damage to the home can lead to a host of mold, mildew, and eventually, health problems for you and your family. Hurricane straps wrapped over roof trusses or rafters can fortify your roof and minimize wind damage. 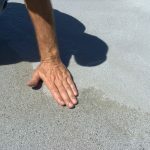 However, low spots on flat roofs can still collect water, create ponding, and lead to water damage. RoofSlope is the premier way to correct any low sloping on your roof, and ensure ponding won’t have an adverse affect on your business. With a variety of materials designed to complement the nature of your structure, we’re able to correct your roofing issues before the next hurricane does a number on your establishment. Prior to application, we test your roof to ensure it will hold the weight of the material used to correct your sloping issue. 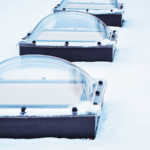 Once we’re sure your roof will support the material, low slope of roof areas will be identified, and a screed board will be used to determine the amount of sloping material needed to achieve a positive pitch toward drains. Whether we determine mineral surface/granulated material, a compatible single-ply adhesive (best for single-ply roofing membranes), or concrete is most appropriate, we guarantee a clean, professional job that will not limit your sloping ability. 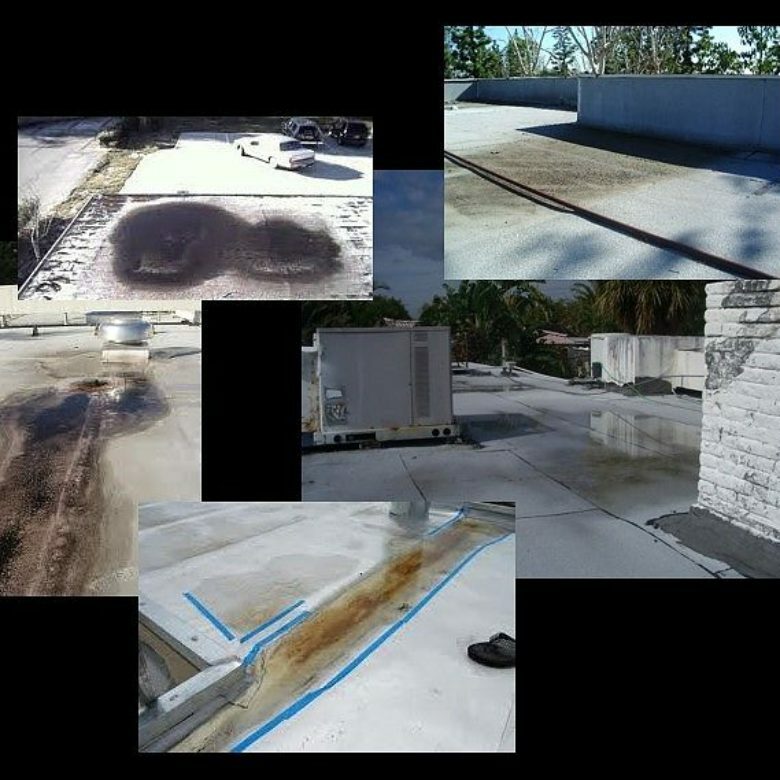 If you’re concerned about hurricane season and the damage it may cause to your flat roof, or simply tired of noticing mosquitoes, flies, or any other pests or damage after a steady rainfall, contact us for information on how you can eliminate ponding water.